Your Happiness Factor: How can I manage my anger? Anger in itself is neither good nor bad; it becomes a problem when it harms us or other people. Long term and intense anger has been linked with mental health problems including depression, anxiety and self-harm. It is also linked to poorer overall physical health and, for example, high blood pressure. So what can you do? 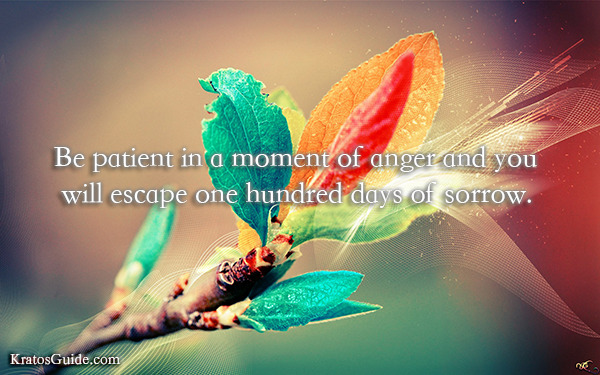 When you feel the first surge of anger boiling up inside you, pause for a moment. Think about what has made you angry, think about the consequences of exploding in a rage and then choose how to respond. Even in the middle of an argument, it’s not too late to take a deep breath and choose to express your feelings differently. Give rational thinking time to kick in. • Count to ten before you act. • Drop your shoulders and breathe deeply to help you relax - your instincts may be telling your body to get ready to fight, but your rational self can reverse this message by telling your body to chill out. • If you feel the urge to throw something or hit out, remove yourself from the situation and try taking it out on something soft like a cushion that you won’t damage and which won’t hurt you. • Try screaming if it won’t disturb people near you or scream into a pillow to release your tension. • Imagine yourself in a relaxing scene. • Distract yourself or take yourself out of the situation that made you angry - read a magazine, do a crossword, listen to soothing music, go for a walk. • Pour out how you feel in writing or redirect your energy into another creative activity. • Offload to a friend who will help you get perspective on the situation. There are other activities which may help you almost immediately, later the same day or if you make them part of your lifestyle longer term. • Work off your anger through exercise - channelling your energy into exercise instead will increase the release of feel good brain chemicals called endorphins which help us relax. • Use relaxation techniques like yoga or meditation - techniques like these challenge the physical aspects of anger, such as the brain chemicals that prepare you to fight, before these chemicals lead you to act impulsively. If you would like help to manage your anger, please get in touch. Wendy Mason is a Career Coach and Life Coach helping you find fresh perspectives on life and your career.